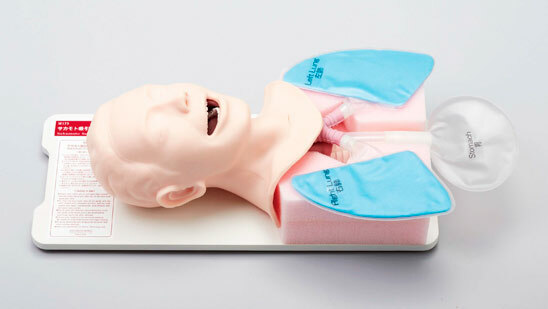 Basis of respiratory management, Endotracheal intubation can be practiced. With lifelike texture, various suction method practices are possible. Not only in the oral/nasal cavities but also Suction of secretions in inserted tubes and in the tracheal cannula are possible. Lower jaw of the head flexibly moves.